Welcome to Roma Gry Show! We are a registered not-for-profit, Vancouver-based Romani performance troupe. Our goal is to bring the culture, music, and dance of the Romani people alive. Our shows are appropriate for all ages and we frequently perform at festivals, concerts, and private functions across Vancouver and British Columbia. For more details, please Contact us, or check out our Upcoming section for events happening near you. Make your event unforgettable by adding our choreographed dances, colourful costumes, live music, and audience participation activities to your event. We would love to perform at your wedding, fundraiser or party! Learn more about booking your show. 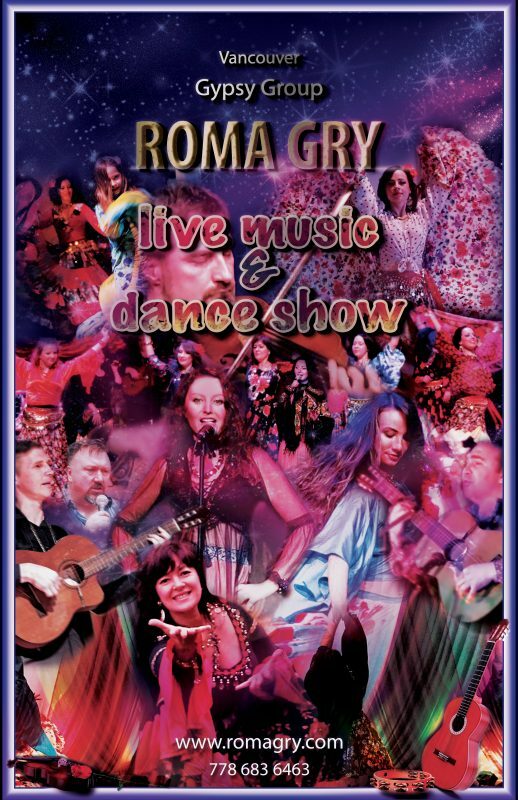 - Our troupe performers are from all over the world; together we celebrate the music, dance and folklore of the Romani people who are able to maintain their distinctive and beautiful culture in many places around the world. - To teach our members and audiences the importance of diversity, the history of the Romani people, and respect for all cultures.